Enjoy this quiz about the acerbic "Sage of Baltimore." Mencken was an admirer of what German philosopher who popularized the idea of the "Übermensch" and wrote Beyond Good and Evil? In A Book of Prefaces, Mencken argued in one essay that the writings of Mark Twain and Henry James were infected with and too influenced by what religious and cultural movement? Mencken had a cordial relationship with what Russian-American philosopher and author, whose books include Atlas Shrugged and The Fountainhead? Mencken once called what body of water an "immense protein factory" due to its plethora of shellfish? The "argot of the colored waiters" in Washington inspired Mencken to write what book? In a 1917 hoax piece for the New York Evening Mail entitled "A Neglected Anniversary," Mencken claimed which former president had popularized the bathtub? Mencken cofounded what magazine with drama critic George Jean Nathan? In an unremittingly caustic essay entitled "The Libido for the Ugly," Mencken decried the industrial blight and homely architecture of the western part of what state? Locations mentioned in the essay include Westmoreland County, the neighborhood of East Liberty, and the cities of Jeanette and Greensburg. Mencken famously covered what Tennessee trial concerning the appropriateness of evolutionary theory in school science curriculums? 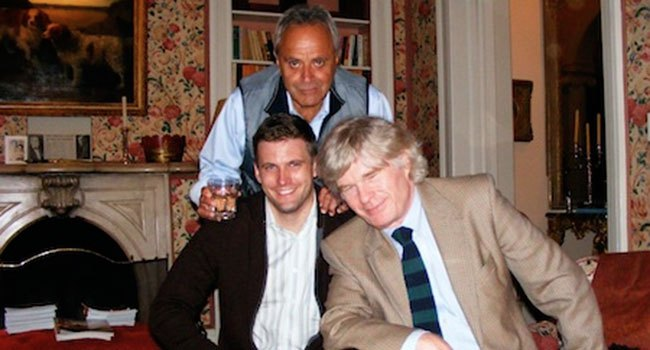 Pictured here at an annual "H. L. Mencken Club" meeting in Baltimore is Greek-American socialite Taki Theodoracopulos (behind), writer Peter Brimelow (right), and what white nationalist (center) and thought leader of the "alt-right" movement? Mencken argued that there was a dearth of culture in the Deep South in what famous essay? "The Sahara of the Bozart"
Describing the uneducated middle class, Mencken coined what word, an amusing-sounding portmanteau which he used liberally throughout his writings?